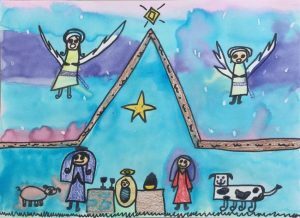 Stella Maris Academy | Keeping Christ in Christmas Contest Winner – Ella! Keeping Christ in Christmas Contest Winner – Ella! Congratulations to our very own third grader, Ella. She designed a beautiful poster for the Knights of Columbus Poster contest – Keeping Christ in Christmas. We are so proud of you Ella!